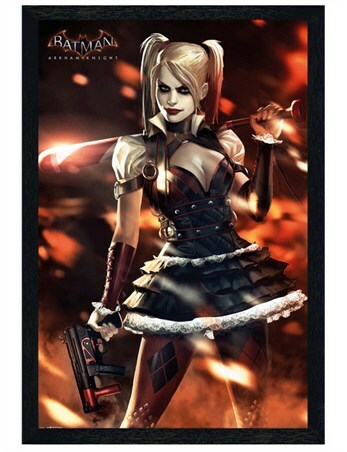 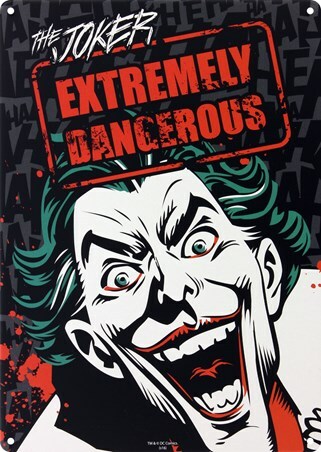 DC Comics Maxi Poster: For all those that love DC Comics - this poster is sure to make a fantastic addition to your collection. 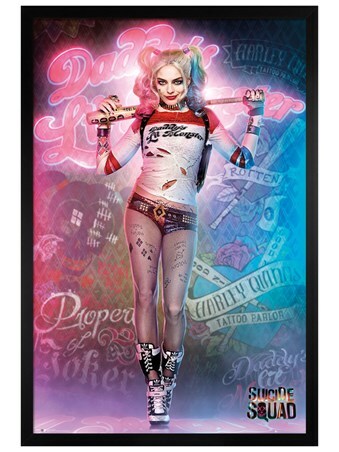 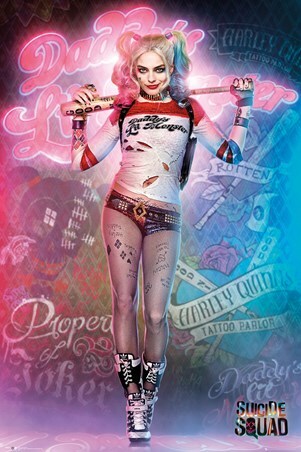 This super-villain character, Harley Quinn, is dressed in her iconic jester outfit with the streets of Gotham city stencilled behind her. 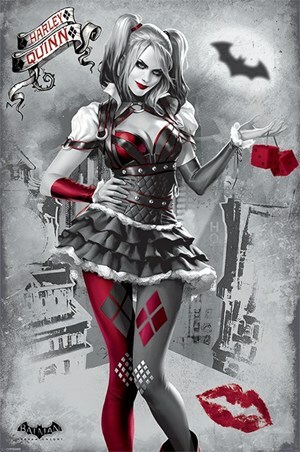 Despite the innocent façade of pig tails, tights and a ruffled skirt - do not be fooled by this girl, as she is anything but nice. 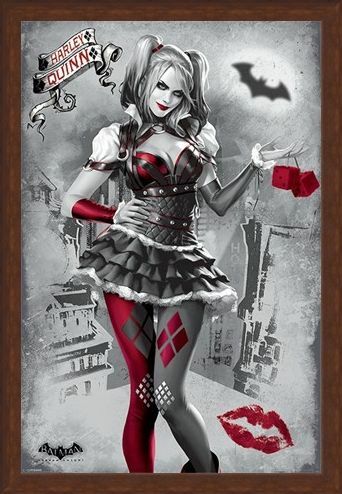 The grey colour scheme juxtaposes against the red of Harley Quinn's costume, which adds to the provocative nature of this piece. 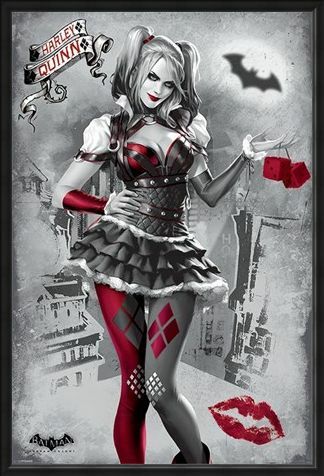 The symbol of Batman's logo shines in the far distance - perhaps this time Batman has finally met his match?